What is the wattage of an LED desk lamp? How many lumens should an LED desk lamp generate? How bright is the LED desk lamp? What other features do LED desk lamps offer? Do LED desk lamps only come in modern designs? 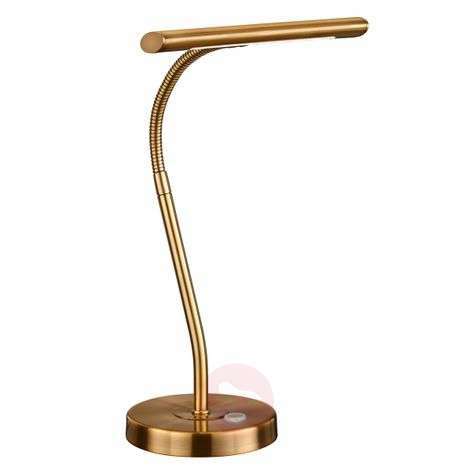 When it comes to LED desk lamps, check the quality of the product and the features provided. Opt for high-quality lights – your eyes will thank you for it! 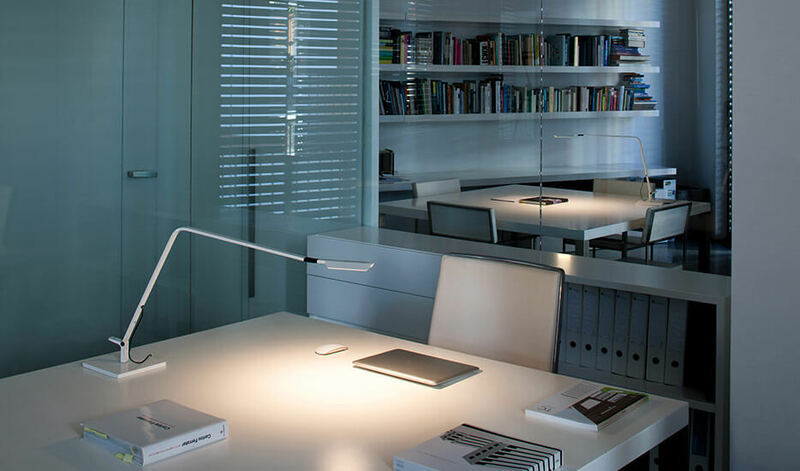 Why are LED desk lamps the number one choice for home offices and workplaces? If your eyes hurt and you get a headache when working at your desk, you are probably missing a desk lamp. Old news? 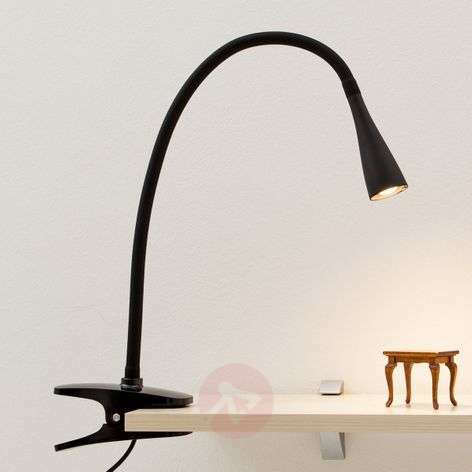 Then you are no doubt wondering which desk lamp will make your work easier. 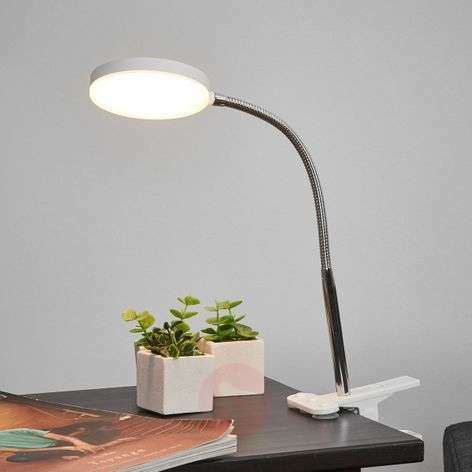 Our tip: Take a look at modern LED desk lamps first. It totally depends on the light itself – and on the quality of the lighting technology. For LED desk lamps, the lighting technology is always LED, but the luminous efficiency – or how many lumens are generated per watt – varies from product to product. A good LED desk lamp can achieve the brightness of a 60W traditional light bulb with just 5-6 watts. Others achieve the output of a 40W traditional light bulb with just 10 watts. Beyond that, there is one key point to consider: all LED desk lamps save energy and money. The important question, though, is how brightly does the desk lamp shine? And brightness is measured in lumens. An extra 200 lumens at a desk can make the difference between seeing documents clearly and over-strained, watery, itchy eyes. 400-500 lumens are even better and will provide extra brightness. 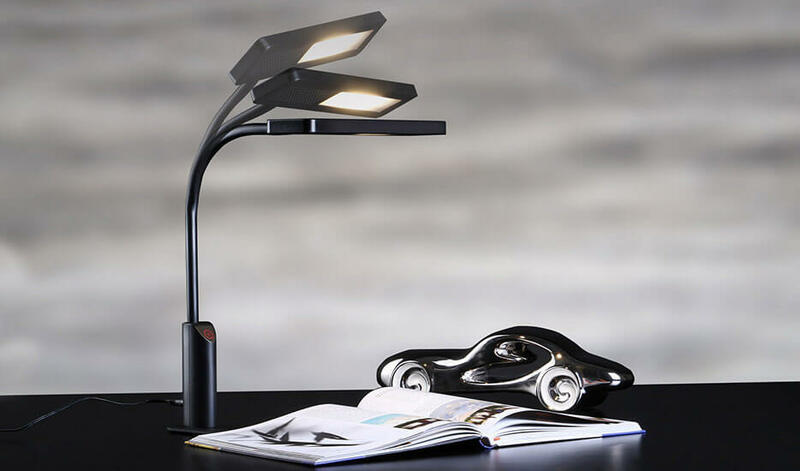 LED desk lamps that generate 400 or more lumens are often dimmable. This means that the brightness level can be easily adjusted to suit your own requirements. This can be vital if an hour’s work in the evening turns into an all-nighter. If the light becomes too harsh, you can simply reduce the brightness. It is worth noting, however, that a desk lamp cannot replace a good night’s sleep! At lights.ie the number of lumens is indicated on the product page under “Light output in lumens”. Lumens (and not watts) specify the brightness level of an LED desk lamp. If you are used to older lighting technologies, such as traditional light bulbs, you can use the following rule of thumb: multiply the wattage of a traditional light bulb by ten to find the approximate lumen value. A 400 lumen LED light is thus roughly equivalent to a 40W traditional light bulb. And that is plenty for brightly lit documents! A USB port for charging phones etc. Check the product details to see which desk lamps come with which features. You have chosen a product, received it and unpacked it. Now you want to know where you should put the desk lamp. Well, the answer is quite simple: if you are right-handed, put it on the left; if you are left-handed, put it on the right. This will stop your hand from creating shadows on the documents. 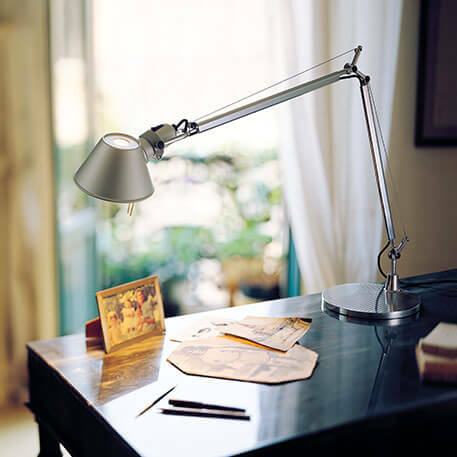 Ideally, your desk lamp will be combined with good-quality general lighting, e.g. from ceiling lights. General lighting is important because it can prevent contrasting brightness levels between the desk and the room as a whole. If you don't prevent these contrasts, your eyes will tire very quickly. And even the best LED desk lamp won’t be able to help you. Not a fan of modern design? Would you prefer a classic or even a creative design on your desk? Don't worry! 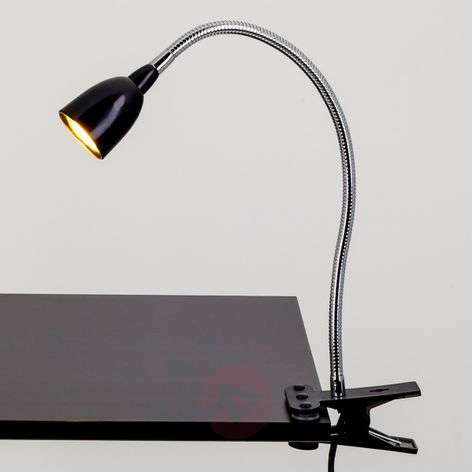 When it comes to LED desk lamps, “modern” refers solely to the quality and many benefits provided by the lighting technology.